This post is part of a two year series of posts related to the out of the box reports in Acumatica. For a full list, click here. 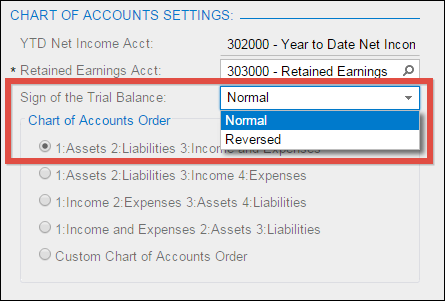 The Trial Balance Summary (GL632000) report in Acumatica lets you view your Balance Sheet for a financial period of your choice. A Balance Sheet, or Trial Balance, is a very common report in an accounting system. You see the balance at the beginning of the period, any debits and credits that happened during the period, and finally the ending balance for the period. 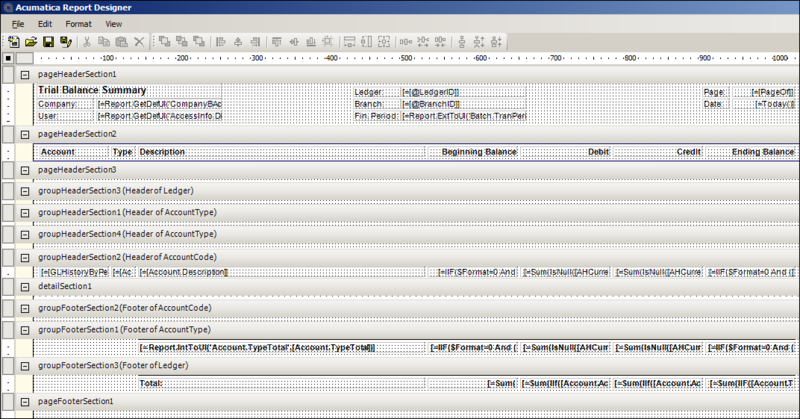 When you first run the report, you need to enter a Ledger and a Financial Period, but you can leave the Branch empty which will give you a Consolidated Balance Sheet across all of your branches. This is pretty cool because most ERP systems require special software if you want to do consolidated reporting. And although you can’t do consolidated reporting across multiple Companies in Acumatica Report Designer (at least not that I know of), Branches are very powerful and can often replace the need for a separate Company in Acumatica. You’ll notice in the second screenshot below that the Account field is a hyperlink. Clicking an account hyperlink will take you to the Account Details (GL404000) generic inquiry screen with the Account field pre-populated. The tables in the database have the Company column as one of the primary keys, but there is no need to use it in a join because Acumatica does it automatically for you (which is why I don’t think you can do consolidated reporting across companies using Acumatica Report Designer). 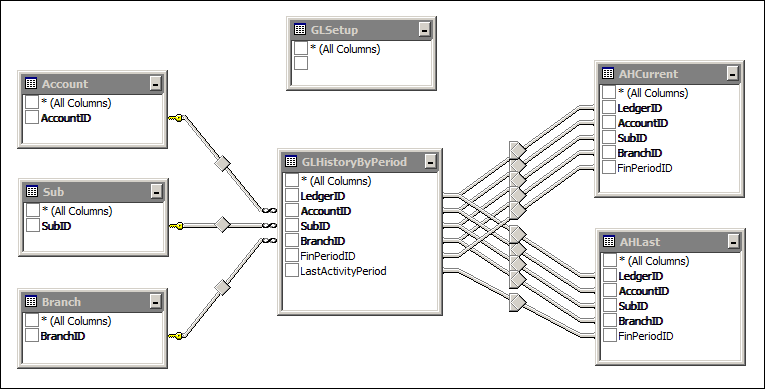 Notice that the GLSetup table is isolated on its own in the DAC Schema screenshot. The join used is actually a Cross join which works because there is only one row with setting data in it for each company.